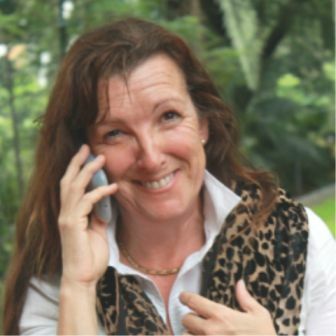 Contact Roseline when you are ready to step forward in your life! 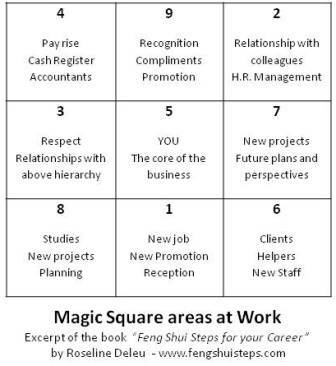 How does a Feng Shui cure work? By adopting a Tantric attitude and intuitively using the Feng Shui components, you are able to create a limitless variety of potent life cures. Broadening your own capacity to effectively wield components of energy movement also frees you from the illusion that there are official cures which would heal only when someone would give you the secrets. The so-called ‘Feng Shui aspirin’, mirrors have to be placed very carefully. When hanging your mirror, look what it actually reflects. When it reflects clutter -> you are doubling your clutter. 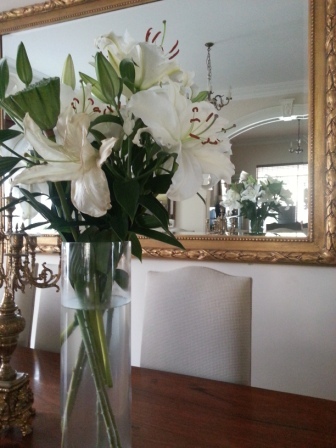 When it reflects an object that makes you feel wealthy -> you will feel even richer. When it reflects a wall, you are projecting the whole room into the mirror and creating an optical illusion and an energy extension. It is a law of physics that a mirror creates the depth equal to the observer’s distance from it. 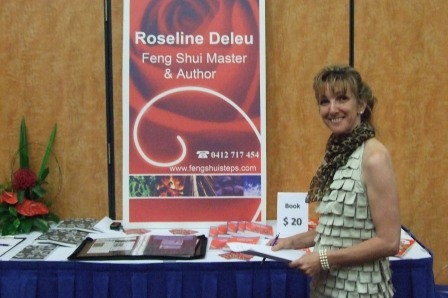 I first found out about Roseline Deleu when my sister e-mailed over one of Roseline’s newsletters last year which I found very interesting and found some great hints and advice on Feng Shui. Attached was a free blessing enhancer to try out. So I printed out the enhancer and it worked so well in my home and work place that I went into fengshuisteps.com to purchase some more different ones to try out and use as a tool in the process of creating paintings and to use around the house. Shortly after this Roseline contacted me to say she had checked out my website and loved my artwork on display especially the colours I used. 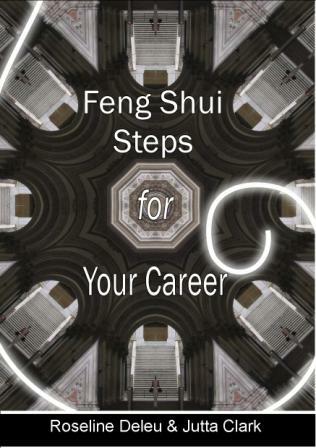 After the progress I had made with Feng Shui Steps I wanted to tell everyone about how well it works so I asked Roseline for a radio phone interview on radio 6DBY in Derby where I work part time, Roseline agreed and since then we have been having regular radio phone interviews. 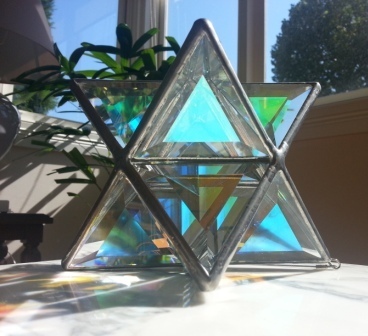 The most interesting thing to date is working with the enhancers when I want to start painting or need some help to get organized, motivated and get into the right space I place, I find these work very fast along with Feng Shui Steps and I am amazed at how fast this works. 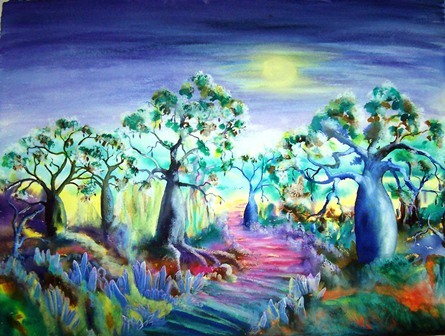 I have lived and breathed the Kimberley the past 28 years and create paintings coming from the energy of this area the Kimberleys in Western Australia, you can visit my website where you can view my artwork, purchase or order original artworks, prints and find information on Art Exhibitions and Auctions. Each piece of art is meant for that special someone out there and is my gift to you, for the soul. What are the 4 words that people would use to describe TinaHigginsArt.com? What was the purpose on starting your TINA HIGGINS ART business and how has the concept come about? 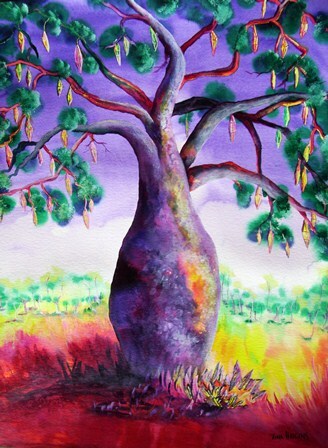 I wanted to share my love of life and nature through artistic creation and expression I love painting t Boab tree paintings, Kimberley landscape paintings and I wanted to have a job that I loved doing. What are the most common issues that people who come to see you for advice? 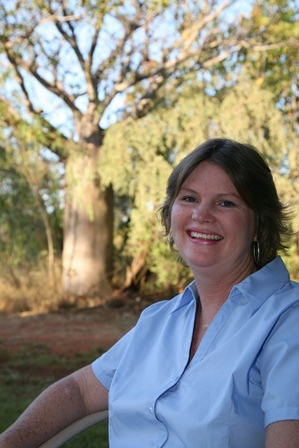 The common issue that people who come to see me for paintings is for relaxation and something is calling them to have a piece from the Kimberley in Western Australia in a painting. Also people undergoing health treatments needing something physical to focus on, a tool to help them relax. My painting are also used in alternate healing clinics and also public hospitals to enhance décor and healing. The Client tell me what they want, how much they want to spend and what size, medium. I love to do intuitive paintings and see what comes out or the client can let me know the theme, landscape or maybe a bird or animal. You can have a personalised Kimberley painting, created just for you. Your input into the process makes the end result exciting and just what you’d like. The client request to have a painting done, I use e-mail to keep the client updated of the progress of the painting and any ideas or colours and the Client can have a photo of the finished piece via e-mail to make sure they are happy with the piece. The painting is posted out unframed. What advice can you offer to people who are just discovering TinaHigginsArt? There is a reason you are drawn to purchase a piece and it will uplift you and you will love it very much and it is exactly what you need. One of my favourite pieces is called Mystical Moment this was a commissioned painting to be used in a healing centre this is the one of my intuitive art pieces. All contact details are on my website: www.tinahigginsart.com.au or ring +61 8 91 931 536 and when in Derby Western Australia please attend the Great Kimberley Art Auctions held in July and December every year and also the Kimberley Art Prize held in July. 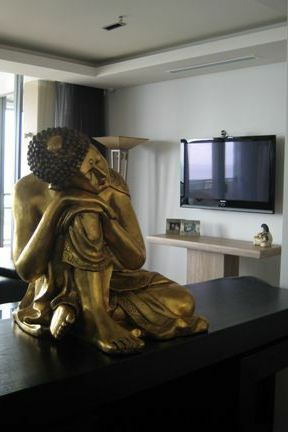 We often consider Feng Shui as the study of the physical structures we occupy. 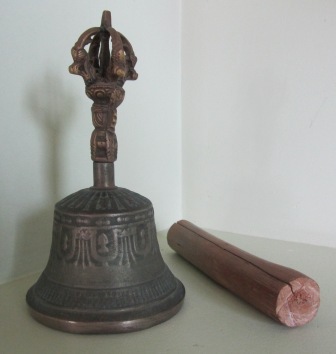 However, the sounds in our environment affect us just as deeply as the physical structures of our dwellings. Even sounds that occur in our home when we are not there will profoundly affect its environment. We are constantly surrounded by sound; some are disruptive (road works, noisy/fighting neighbours) – some are pleasant and soothing (the sound of birds in your garden, laughing children). In addition, we are also influenced by the ‘sound quality’ within our homes, which is the way the sound reverberates there. 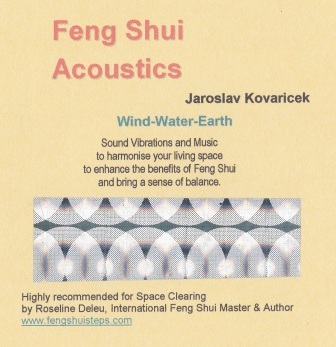 All of these sound fields interact and either enhance or diminish our personal energy. We can transform the energy in our home by learning about sound and also learning how to draw empowering sounds into our environment. 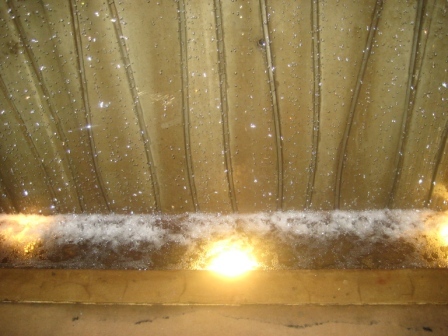 Sound travels in waves, similar to the way the water travels in waves when a pebble is dropped into a still pool. The human ear can only perceive sounds occurring within a very narrow range of frequencies. Other species have a much wider range of hearing than we do and the sound spectrum continues far beyond their capabilities as well. Whether or not the sound around us is audible or inaudible, it nonetheless exerts an influence on us. In addition to perceiving sound with our ears, we also physically conduct it through our bones. Sound reverberates throughout the entire body. It has been suggested that we ‘hear’ vibrations from the earth through our body, which acts as a conductor. Sounds and music in our house have a dramatic effect on its overall harmony. Some sounds produce a melodic structure which impact on us is like of sacred geometry. Some sounds function as a stimulus that penetrates into rigid objects in our home or workplace so an amazing reorganisation of their energy fields can occur. Other tones have the effect of harmonising and unifying discordant energy. Sound changes the vibrational frequency of our home. 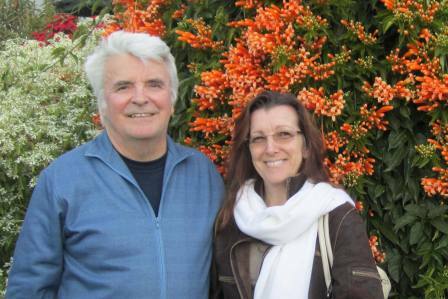 A research done by PhD Jaroslav Kovaricek (famous ABC Radio announcer for many years of the Dreamtime program) showed the impact of music on health and growth of plants. Two plants were put in the same type of soil and exposed to the same light. One plant received no music while the other one got surrounded by the JJJ radio station playing rock and heavy metal music. The first one grew normally while the one exposed to the ‘JJJ noise’ (as characterized by Jaroslav) grew with difficulty and it even seemed to be crawling towards the ground in search of perhaps… some peace? 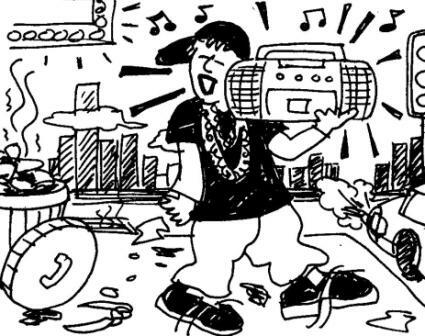 What sort of music are we listening to and what is its impact on our homes and bodies? Do you feel ‘low’ and bend your shoulders forward when you walk? 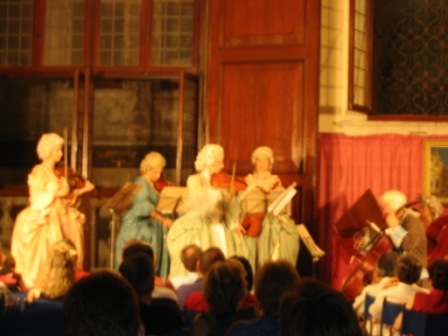 Do you have a low self esteem… maybe it is high time to switch your music to “Baroque”! Baroque music is highly recommended, nature sounds in our home will powerfully activate the Spirit of Nature there. Doing this is especially helpful if we live in an urban area that lacks contact with nature. Simply hearing these natural sounds has an immediate and positive effect on us and the energy in our home. Earth – reconnects with vibrations of nature – brings more balance into your place and you will feel more grounded and ready to step forward into your life. Always follow your common sense, cultural preferences and power position choices. When you have a more informal meeting ensure you sit in the power position. This will allow your opinion and ideas to be appreciated. 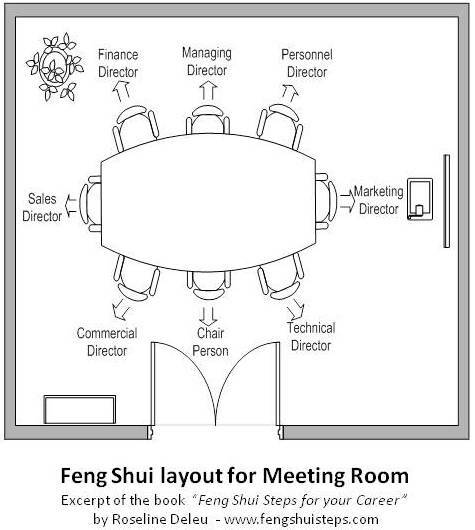 Ideally framed photos with glass panels would be displayed behind Finance and Personnel Directors so the Chair Person can see on an angle what is happening behind their back (entry). 8 little minutes of your time for a special EASY Feng Shui lesson illustrated with picures of my Cartoon book! 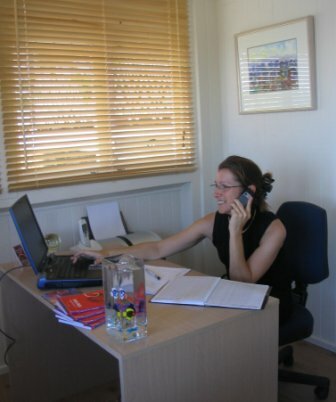 Align the side 8-1-6 with your entry and have a good look who sits/works where in your work environment. ENJOY life and all of its wonders! A realistic awareness of yourself and your strengths as well as a strong insight into how you interact and operate in the world enables you to identify and assess your options much more clearly. Have you had high levels of career satisfaction? Are you in the right job now? Are you happy with your current career direction? Do you know what your skills strengths are? Do you know what skills you need to develop for the future? Do you have other skills that could be turned into a rewarding career? Is working the only option for you? Is there enough balance in your life? For those scoring 4 ‘NO’ or more, it’d be urgent to do something about it! Can I guide you and lead you a hand onto a better life path?